Jill Kroeger is a career employee of LexisNexis Special Services Inc. and a certified project/program management professional. She was appointed Senior Project Manager, Security and Compliance in 2017. In this role she is responsible for the company’s Information Technology Security Program, ensuring compliance with data security including federal Criminal Justice Information Systems (CJIS) and state and local standards for security and privacy of law enforcement-provided data. She began her career with LexisNexis in 1997 as the lead designer for www.lexis.com, the company’s flagship site and first ever Web-based legal research system in the world. In 2000, she was named Project/Program Manager for the website, where she managed more than 50 multi-million dollar projects to completion. In 2008, Ms. Kroeger was named Global Operations Liaison, to improve daily operational relationships between multiple business units and departments, and subsequently became the Technical Project Manager for the launch of Lexis Advance, managing the release process for a new LexisNexis core product line, including large-scale, multi-domain components as Alert Service, Verdict Settlement Analyzer and Public Records. In 2014 Ms. Kroeger was named Senior Project Manager and Acting Program Manager for the Public Safety Program and Public Safety Acquisitions, with responsibility for federal, state and local law enforcement agencies and emergency responders across the United States. She was responsible for integration of acquisitions, developing the PMO process to ensure delivery on customer contracts, and contract, security and technology compliance and audit management, which included CJIS and National Institute of Standards and Technology compliance for IT and physical security. 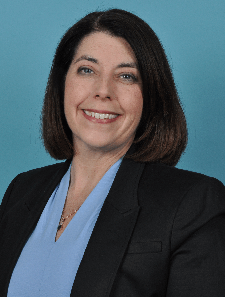 Ms. Kroeger has been a member of the Board of Directors of the Neurosurgery Fitzpatrick Chiari Research Fund since 2011, and currently serves as Vice Chair. Sher holds a Bachelor of Fine Arts in Graphic Design from Northern Kentucky University, a PMP in Project Management from the Project Management Institute, and a Certified Training Professional certificate from the International Air Transportation Association.